Art, Soul & Destiny... How To Find Inspiration ? Art, Soul & Destiny… How To Find Inspiration ? I met Jill Steenhuis during an exhibition in a private house in Paris. The meeting was brief but the connection was instantaneously good. Jill is a very warm, big hearted and delightful women ! At the time (November 2011), I was preparing a Networking event on Business, Art & Creativity and I offered her to participate. Her schedule didn’t allow it but we kept in touch from time to time. Art, Soul and Destiny is a beautiful, thick, large book, the ideal size to enjoy Jill’s paintings to the fullest. It is an auto-biography illustrated with Jill’s amazing canvases. 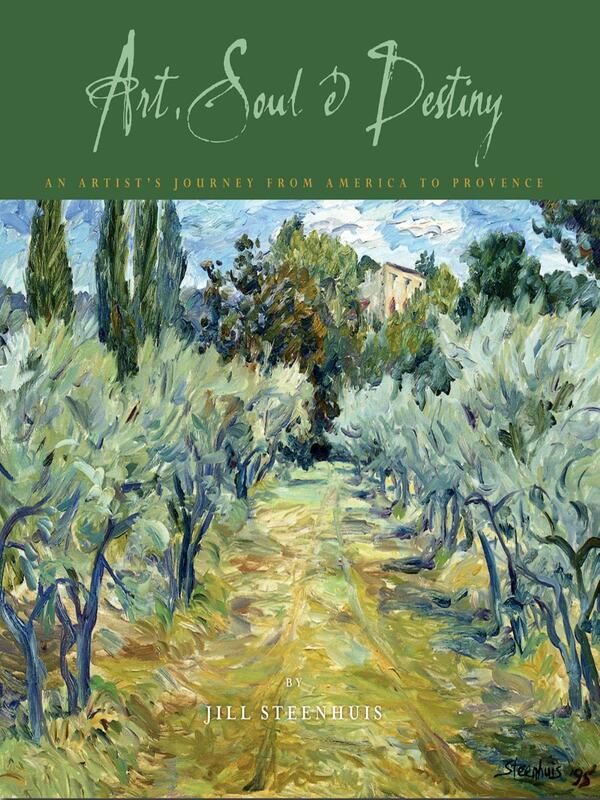 A wonderful, magical way to discover the journey of an extraordinary painter ! In the silence and beauty of Provence’s nature, Jill describes how her senses are engaged, developed and so how her soul and art is. In the nothingness you find the core, the essence, and peace. So, now, you might wonder why do I share this on a Marketing blog ? Because Marketers are also artists: Marketers are always challenged to keep being creative to promote companies, products and services. Artists are great models to learn how to be creative, where to find inspiration, how to vehicle emotions, how to find the essential of things. In Art, Soul and Destiny, Jill Steenhuis shows us that creativity, inspiration comes from observing nature and humanity. By embracing life with all our senses, we give our work a soul and we touch people’s hearts. By fully embracing a cause, you give it a soul, you can share what really matters and be remembered. Thank you for sharing your response to my book, full of encouraging words. I will be back in Paris on September 19, 2013 for a show at Espace Z. Hope to see you then.